Dr.NALLASIVAM PALANISAMY, MSC. MPHIL. PHD. I would like to thank all my teachers who has provided me the basic education which laid a strong foundation to further my academic studies and build a successful research career as a scientist in cancer research. NALLASIVAM PALANISAMY, MSC. MPHIL. PHD. 07/2000-06/2002 American Board of Medical Genetics training program in Clinical Cytogenetics: Memorial Sloan–Kettering Cancer center, New York, N.Y.
07/2001 42nd Annual course in Medical and experimental mammalian genetics, Jackson Laboratory co-organized with Johns Hopkins University, Bar Harbor, Maine, USA.- Course Director Victor A. McKusick. University of Michigan/Gen-Probe Partnership to Develop Gene Fusion Based Diagnostics for Prostate Cancer. Goal(s): Assist Gen-Probe in the development of a urine-based gene fusion test for prostate cancer. Combined use of aCGH and genome partitioning to identify and characterize recurrent genomic amplifications in prostate cancer: identification and sequence characterization of oncogenic and tumor suppressive events. Goal(s): 1) To identify recurrent gene fusions in ETS negative prostate cancer by transcriptome sequencing approach using Illumina Hiseq; 2) To follow up previously identified gene fusions in recurrence screening and functional characterization to establish their role in prostate cancer; 3) To interrogate transcriptome landscape for differential expression of novel non-coding RNA, splice variants, novel transcripts and SNP analysis. Goal(s): to develop a comprehensive approach to genetics, proteomics and bioinformatics that can help elucidate the mechanisms driving tumorigenesis. This research investigates the notion that cancer stem cells are the key cell component driving tumorigenesis, metastasis and treatment resistance. Hardening the national xenograft therapeutic program: expansion of HCC xenograft infrastructure, drug evaluation, cell line generation and linkage to primary HCC’s via genomic analysis. The Role of EZH2 in Breast Cancer Progression $278,389/yr. Goal(s): Elucidate the function of EZH2 in breast cancer progression and metastasis and its prognostic utility. Goal(s): extending our work in the discovery and refinement of biomarkers to facilitate the accurate diagnosis of prostate cancer using the TMPRSS2-ETS rearrangements as a foundation. Develop biomarkers to predict aggressive prostate cancer with the goal of distinguishing indolent from aggressive prostate cancer either prior to diagnosis or at the time of biopsy diagnosis. Identification and characterization of gene fusions in lung adenocarcinoma $185,000/yr. Goal(s): To identify new gene fusions in lung cancer utilizing a newly developed bioinformatics approach combined with next-generation sequencing data. 1987-1990 Senior Research Fellowship (SRF) Award, Council of Scientific and Industrial Research (CSIR), New Delhi, India. Methods of analyzing chromosomal translocations usingfluorescence in situ hybridization (FISH). 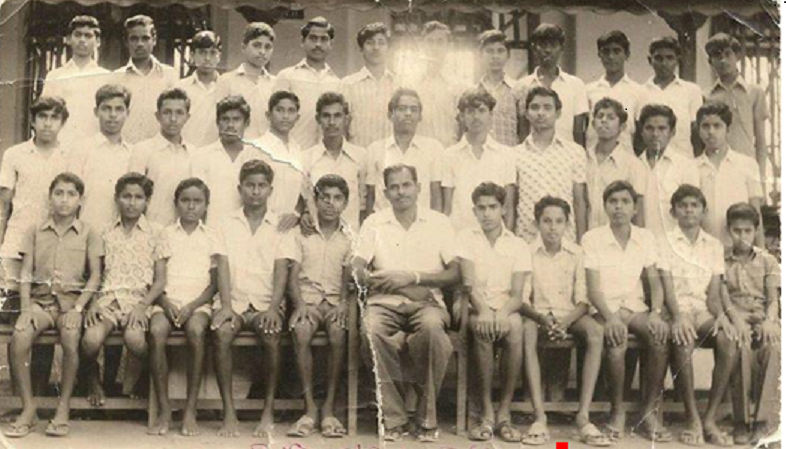 Inventors: Nallasivam Palanisamy and Raju S. Chaganti. Inventors: Arul M. Chinnaiyan, Nallasivam Palanisamy and Shanker Kalyana-Sundaram. United States Patent Application filed on December 19, 2002. Application # 20020192692. Methods of analyzing chromosomal translocations using fluorescence in situ hybridization (FISH). Inventors: Nallasivam Palanisamy and Raju S. Chaganti, Institution: Cancer Genetics, Inc., USA. United States Patent application filed on September 29, 2005. Application #: 20050214842. United States Patent application filed on July 19, 2007. Application #:20070166749. 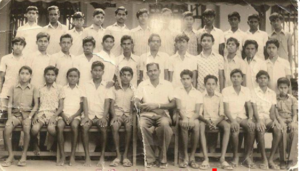 Inventors: Nallasivam Palanisamy and Raju S. Chaganti. Institution: Cancer Genetics, Inc., USA. International Patent application filed on 10/22/2007Application #: 20100285475. “Fused Genes”. Application #: PCT/ SG2007/00036. United States Patent Application filed on November 11, 2010. “Fused Genes.” Application #:20100285475. Inventors: Nallasivam Palanisamy, Kalpana Ramnarayanan and Edison Liu. Published 98 peer-reviewed publication in international research journals. Palanisamy N. Chromosomal Translocations in AML: Detection and Prognostic Significance. Genetics, Biology and Therapy of Acute Myelogenous Leukemia, Ed.Nagarajan L. In the Cancer Treatment and Research Series Springer-Verlag, 2009; 145:41-58. Nanjangud G, Palanisamy N, Chaganti RSK. Cytogenetic analysis and related techniques in hematopathology. Diagnostic Hematopathology. Elaine S.Jaffe, Nancy Harris, James W. Wardiman, Elias Campo and Daniel A. Arber. Elsevier Inc. 2010. Chinnaiyan AM, Palanisamy N. “Chromosomal aberrations in solid tumors”. Progress inMolecular Biology and Translational Science (PMBTS), 2010; 95:55-94.Edited by Raymond Ruddon. Editor-in-Chief: Michael Conn Elsevier Inc. 2010. “Oligonucleotide Microarray analysis of genomic imbalances to detect gene fusions in cancer”. https://agilenteseminar.webex.com/agilenteseminar/lsr.php?AT=pb&SP=EC&rID=4014382&rKey=5386aff4f4b57c73. July, 2011.